Researchers worldwide are looking for new therapies to deal with elevated lipid blood levels. PCKS9 inhibitor, which has been used in studies to successfully reduce the risk of cardiovascular deaths, is already in use. A cholesterol-lowering vaccine also seems promising. Cardiovascular diseases are in Europe the number one cause of death. About every second person dies of one. One essential yet treatable risk factor for cardiovascular diseases is dyslipidaemia. Lipoprotein(a) increase: The lipoprotein(a) (or LPA) has a substantial structural similarity to LDL. Its concentration is predominantly genetically determined. Hypolipoproteinaemia occurs more rarely in a form where concentration of lipoproteins also exists at reduced levels. The causes are many and varied. The condition can be caused by diabetes, obesity, smoking, hypothyroidism, eating disorders or liver disease. The action of drugs, eg Glucocorticoids, can also influence the composition of lipoproteins. In such cases one is dealing with a secondary lipid metabolism disorder. Primary lipid metabolism disorders are in contrast strongly hereditary. The exact cause of the development of arteriosclerosis due to dyslipidaemia is not yet comprehensively understood. According to the response-to-injury hypothesis, risk factors such as high blood pressure are said to damage the endothelium. This leads to subintimal LDL accumulation with subsequent inflammation. The attracted macrophages take up the LDL and transform it into foam cells. 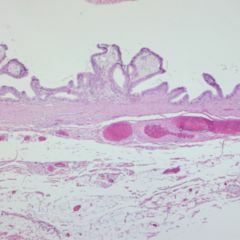 Atherosclerotic plaques are the result, through which circulation in the blood vessel is made difficult. In the worst case, the plaques completely occlude the vessel and the person suffers from a heart attack or stroke. having normal body weight (body weight measure index of 20 to 25 kg / m2) and a waist circumference of less than 80 cm for women and less than 94 cm for men. 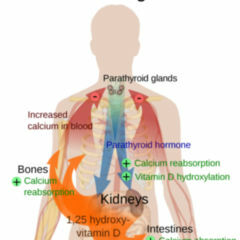 The positive influence of nuts on elevated blood lipid levels was medically demonstrated by Klaus Parhofer from the University of Munich Hospital (Germany). Consuming 43 grams of walnuts (about a handful) per day for eight weeks reduced non-HDL cholesterol by 7%. Non-HDL cholesterol makes up the difference between total cholesterol and HDL. 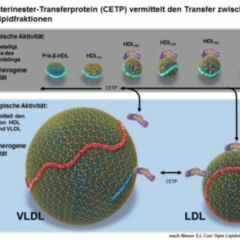 In addition to LDL, the atherogenically active very low density lipoprotein (VLDL) and intermediate density lipoprotein (IDL) lipoproteins are also measured. This enables a better risk assessment than does a single LDL measurement alone. Recently a follow-up study appeared in the magazine Nutrients, in which doctors led by Charlotte Bamberger and Klaus Parhofer investigated whether the effect of walnuts is affected by carbohydrates or fats. Charlotte Baumgartner examined about 200 healthy women and men with a mean age of 63 years. The participants were divided into three groups. All participants consumed 43 grams of walnuts every day. The first group was to reduce the carbohydrate intake, the second group the fat intake and the third both. 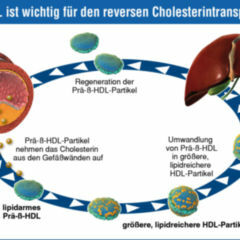 After eight weeks, non-HDL cholesterol had decreased by about 5%. “And this regardless of whether one omits fats or carbohydrates instead of walnuts in the diet”, Klaus Parhofer explains. “Interestingly, the subjects also only kept to their prescribed diet to a limited extent. So even if one looks at the people who have consistently implemented our recommendations, one cannot see any difference in how much cholesterol levels have improved. So it is of no importance whether one reduces fats or carbohydrates as long as one eats a handful of walnuts every day”. It was also irrelevant whether the walnuts were eaten as the main meal or as a snack. If a lifestyle change is not enough, the patients get treated with statin medications, or with fibrates, ezetimibe, PCSK9 inhibitors or other pharmaceutic drug classes. The PCSK9 inhibitors while being expensive are an option if LDL cholesterol levels are not able to be brought down sufficiently using statin plus ezetimibe treatment, or if the patient cannot tolerate statins. In March 2017 the FOURIER study was published, in which the effect of the PCSK9 inhibitor evolocumab (trade name Repatha) was examined. For this study, approximately 27,500 high-risk patients with an atherosclerotic cardiovascular illness received in addition to statin therapy an injection of evolocumab every two weeks or once a month during the time period February 2013 – June 2015. In the evolocumab group, the LDL cholesterol level dropped by about 60% from 90 mg/dl to 30 mg/dl. In addition, the risk of cardiovascular disease sank. Cardiovascular deaths, heart attacks, strokes and hospitalisations due an to unstable angina occurred in the evolocumab group 15% less often. The effect of evolocumab is based on the inhibition of the so-called PCSK9 signalling pathway. Normally, binding of the PCSK9 protein on the LDL receptors of the hepatocytes triggers the degradation of these receptors. The inhibition by evolocumab causes the receptor to increasingly return to the cell surface of the liver cells. As a result, the cells take up more LDL and their concentration in the blood decreases. However PCSK9 inhibitors are expensive and function relatively briefly. In addition, antibodies to the drug may form when the inhibitor is administered over a prolonged period. This can affect its action. 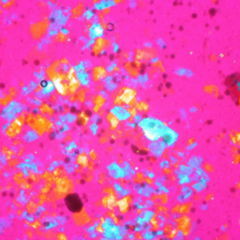 For this reason, scientists led by Marianne Pouwer from the University of Leiden in the Netherlands are searching out new active substances. They developed the vaccine AT04A. This substance causes the body to form antibodies against PCSK9. Scientists tested their vaccine on genetically modified mice which, having been fed a high calorie and high fat diet (Western diet), ended up suffering from arteriosclerosis within 18 weeks. Compared to the control group, the rodents in the AT04A group had 50% lower cholesterol levels. In addition, markers for vascular inflammation were reduced and atherosclerotic damage occurred 60% less often. The scientists were able to detect the antibodies in the rodents for up to one year. The vaccine is currently being tested at the Medical University in Vienna in a phase I clinical trial. Scientists led by Ulf Landmesser at the Charité (Berlin, Germany) – Benjamin Franklin Campus and by Kausik Ray at Imperial College London are in contrast investing efforts in a therapy based on ribonucleic acid – a small interfering RNA (siRNA). The double-stranded siRNA joins to the mRNA of the PCSK9 gene in hepatocytes. The PCSK9 proteins coded by the mRNA are then no longer produced. For their study, the physicians administered either siRNA (inclisiran) or a placebo to about 500 high-risk patients. It turned out that the siRNA reduced LDL cholesterol by up to 50%. “Particularly interesting for us is the long-lasting effect of the treatment, which was observable for more than nine months after only one single administration”, Ulf Landmesser states in a press release. “The next step is to further develop the treatment in a large clinical trial program as a new treatment to prevent heart attack and stroke in high-risk patients”, he adds.